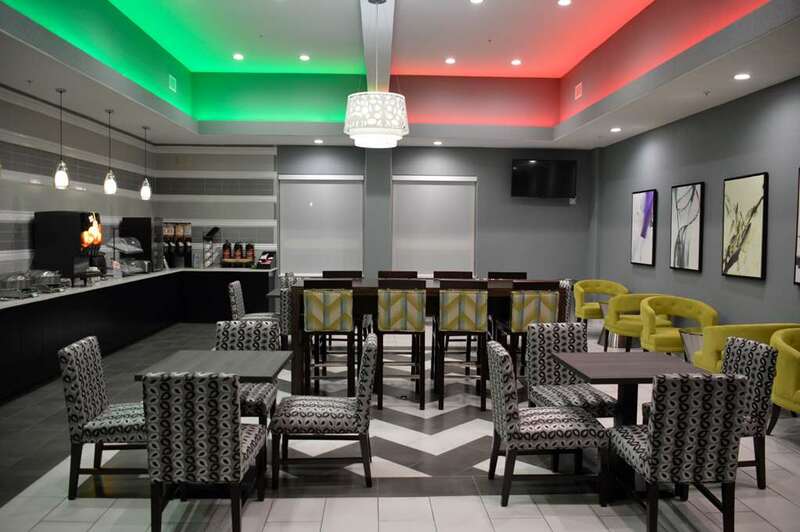 The Best Western Plus Pflugerville/Austin Inn & Suites is a great pick for business travelers arriving at the new Austin Executive Airport, or families visiting for soccer games, school sports or family. Guests will enjoy competitive prices and a welcome touch of home, such as our famous complimentary full hot breakfast. This is served every day and includes hot eggs, pancakes, breakfast meats, a wide selection of fruit, cereals and breads, make your own waffles, and more, to get your day started with a smile. Our friendly staff members are happy to offer recommendations to events, shopping, and restaurants in the area. We are located right in the backyard of the Music Capital of the World, Austin, Texas. There is always a wide variety of great music playing for your entertainment. If you are an outdoor or water person, you can enjoy more than seven lakes within a 30 mile area. Come to do everything or simply relax by the pool and read a book. The Best Western Plus Pflugerville Inn & Suites has it all for our guests enjoyment. Morelia Mexican Grill: 4.3 mile(s) from Morelia Mexican Grill, Full Service, Tex-Mex, Open for: breakfast, lunch, dinner, Breakfast is served Saturday & Sunday only from 9:00 a.m. until 11:00 a.m.
Rio Grande Tex-Mex: 7.3 mile(s) from Rio Grande Tex-Mex, Full Service, Tex-Mex, Open for: breakfast, lunch, dinner, Breakfast served Saturday and Sunday only, 9:00 a.m. until 11:00 a.m.
Russo's New York Pizzeria: 4.3 mile(s) from Russo's New York Pizzeria, Full Service, Italian, Open for: lunch, dinner, Russo's will deliver to hotel and they also do catering. Pool - Outdoor pool open 9:00 a.m. - 10:00 p.m.
Stone Hill Towne Center,4 mile(s) from Stone Hill Towne Center, is a beautiful, new, upscale shopping area with many excellent restaurants. Also located in this area is the Cinemark Theatre. Austin,20 mile(s) from Austin, Austin Texas, is approximately 20 miles to downtown area, University of Texas, and State Capitol. Typhoon Texas Water Park,2.0 mile(s) from Typhoon Texas Water Park, Typhoon Texas Water Park is open seasonally Memorial Day to Labor Day.